The process of witnessing, highlighting, and sharing principles of environmental ethics to better inform decision-makers in governmental, non-governmental, and private entities. The direction, structure, and ultimate aim of a Relato is entirely based on the needs of the local host organizations. The BEI helps to create the space for ethical engagement, assist with a global network of Advisors, and help with the framing of local ethics or other end results. 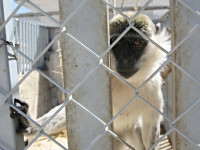 It then provides an online forum for the story to be shared and for the global network to help keep the work alive. (1) Make Contact. It usually begins with an individual or organization contacting someone within the BEI leadership because they believe that ethical arguments could be of some value to their particular place, problems, or people. (2) Create a Strategy Plan. The BEI leadership then works with the local host to begin developing a Strategy Plan for the Relato: who are the key partners, what are the key themes, who could speak, where could participants visit to see ethics in action. This would lead to an Info Sheet that the BEI and the hosts can send to partners to garner interest and support. The Strategy Plan would also explore funding options, including in-kind offers from the host, such as meeting space, transportation between site visits, etc. In addition, it would highlight BEI Advisors that could speak particularly to the highlighted themes. (3) Create a Formal Invitation and Agenda. The Relato typically includes a launch to announce a call to action; presentations to learn about the organizations and programs in the area, as well as hear from the Advisors; site visits to bear witness to those programs in action; and a final day to begin work on an action plan, or a draft local ethic. This is usually done over 3-5 days. 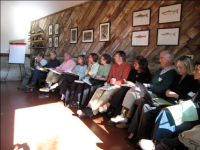 Invitations are sent out to individuals and organizations highlighted by the hosts and the BEI, with participants varying from days to site visits. For example, the launch is usually the largest gathering, although some site visits include government meetings open to the public. The site visits are usually smaller, and include the hosts, the Advisors, and the particular individuals and organizations they are meeting. (5) "Next Steps" Day. Usually at the end of the Relato, key members take part in a final day that focuses on what to do now that the Relato has ended. It begins with a discussion of the Relato and the key ethical principles that have been highlighted, and then focuses on an end product. Does the host wish to create a local ethic? Do they wish to have their story heard and shared through the BEI network? Do they want to create an Action Plan for implementation of ethical principles? (6) Report and Record. After the Relato, it is important to create a space for continued dialogue, currently made available by the CEEL website and other social platforms. Partnerships and individuals are highlighted, news is shared, and a network grows. 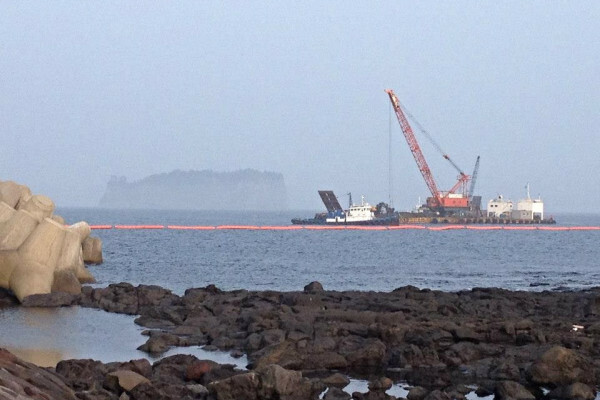 The Gangjeong Village Relato was held in 2012 during the events of the 5th IUCN World Conservation Congress in Jeju, Republic of Korea. It centered around an ancient, indigenous culture that was biologically, culturally, and spiritually dependent upon the environment around them. This community, just a few kilometers from the Congress site, and their way of life, is under direct threat from the construction of a major military outpost. It takes moral courage to stand up to some of the most powerful forces on Earth. The lessons learned from this small community on this small island in the Pacific should be shared with the wider world, and that was the overarching message of this Relato. It is a story of endangered species, and an endangered people, and it is also the origins of the BEI's aim to develop Position Statements - we must stand for the principles we state. The villagers of Gangjeong approached the BEI to help give them a voice at the IUCN Congress, a conference for conservation, co-hosted by the very government whose policies they were fighting against. An Emergency Motion was successfully advanced to support the history and conservation, the endangered species and sacred spaces, of this village. However, when placed before the full Plenary for a vote, and although it passed overwhelmingly by the NGO members, it ultimately failed due to the number of abstentions by government members. The Gangjeong Relato forced the BEI and its partners to confront the geopolitical realities of so many conservation efforts, and the solidarity needed to confront them. The Rio State Relato took place in 2011 at several locations throughout Rio State, Brazil, including Rio de Janiero, Mesquita, and Nova Friburgo. The Relato was focused on community-based conservation, from the catadores that collected recyclables in Gramacho Landfill, to those that formed organized collectives in Mesquita. 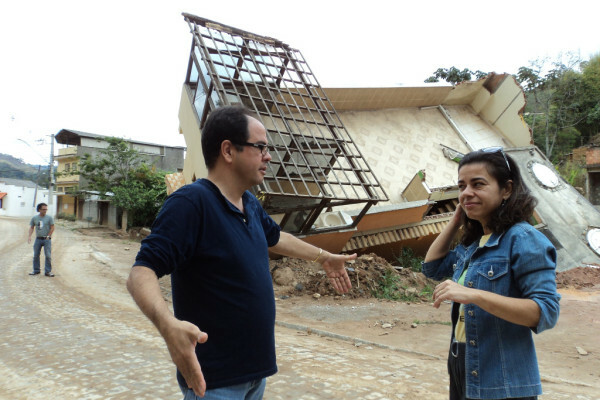 Participants also saw first-hand the devastation caused by climate change at Nova Friburgo, and the efforts by the city and Local Agenda 21 partners to respond to these new threats. The immense spirit and determination of the peoples of Rio State was grounded in the recognition of the interlatedness of all of the communities of life. Conservation cannot be separated from community, and conservation, particularly, cannot be separated from the protection and upliftment of vulnerable people. Brazil is second only to South Africa with the largest gap between rich and poor. And the conservation efforts of government officials, community-based organizations, and even private industries work to address this gap, and promote the quality of life for all. It is important to understand that the poor are often not in control of what happens to them, and it a core concept of human dignity to be a part of conservation efforts, to be a part of the decisions that affect you. To not be given gifts, but to be given a voice. The Ethic of Rio State is in process, using the rough draft of Key Points as a guide. 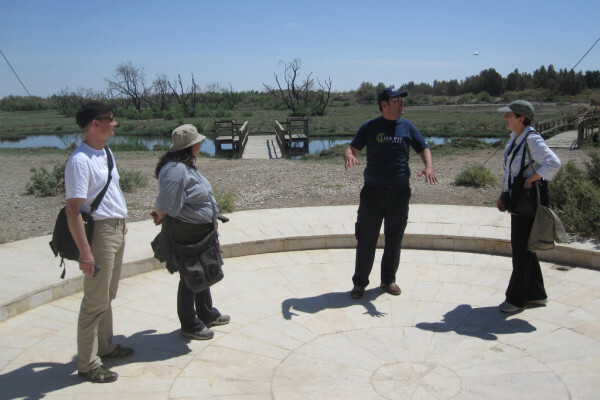 The Relato of Jordan took place in 2011 at several locations throughout Jordan, from city-scapes to wetlands, freshwater dams to deserts, animal sanctuaries to botanic gardens. It brought together community organizors, educators, government officials, the media, even members of the Royal family, to highlight the importance - the necessity - of conservation to the entire country. It is one with their national identity, it is one with their religion. The Relato of Jordan continued to emphasize the importance that water plays to human and natural communities across the world. Not only is there a vital need for water, but there are deep spiritual connections to it. One of the most provocative working principles was that water scarcity brings opportunities for peace, not cause for conflict. Yet they also recognized that the promotion of peace, such as open borders and allowing increased refugees and immigrants, causes stresses to the natural and man-made environment, including water availability. Wise and equitable use of water and all natural resources was a common theme. The structure of the draft Local Ethic of Jordan is a bit different than that of the Indiana Dunes Region. It includes Foundations, Values, and Principles, but also specific recommendations for action. These include hosting ethics forums and offering BEI tours, to drafting a water focused climate change action plan and advancing environmental therapy with animals rescued from illegal trade. The Relato of the Indiana Dunes Region was held in 2010 at various locations throughout Northwest Indiana, on the shores of Lake Michigan. The Great Lakes make up 20% of the world's freshwater resources, and the care, conservation, and responsibility over these resources falls to community organizations, and local, state, and federal government agencies. 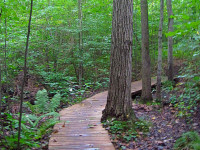 The Indiana Dunes has been deemed the "birthplace of ecology", and the diversity of the people, places, species, industries, and economies shows why it has earned that name. This Relato resulted in the first local ethic of the BEI: The Local Ethic of the Indiana Dunes Region. 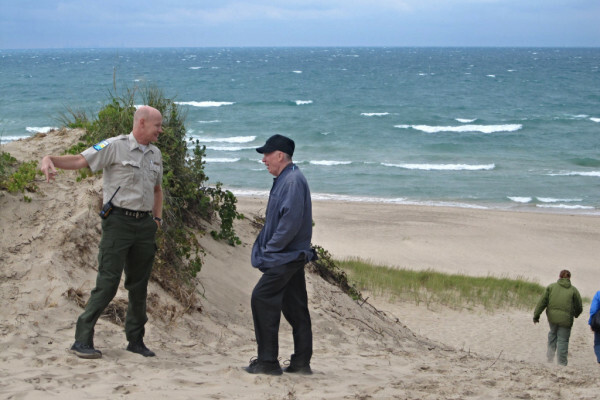 The Local Ethic is a call to ethical action to all those who impact the Indiana Dunes region. 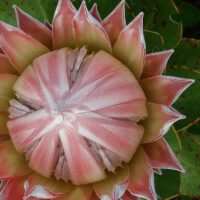 It identifies their values: (1) strength in their diversity in humans and nature; (2) the unique and rare geography and geology; (3) their place in history and the leaders who have come before them; and (4) community minded advocates and activists. It also identifies their aims, divided by (1) individual in the community; (2) environment; (3) industry; (4) social responsibility; and (5) education and the arts. The document was launched at a screening of the Aldo Leopold documentary, Green Fire, in collaboration with local, state, and federal partners and the Aldo Leopold Foundation. 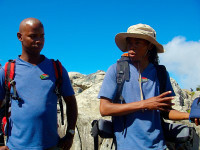 The South African National Parks (SANParks) Relato was held in 2008 at the Kirstenbosch Botanic Gardens on the slopes of Table Mountain National Park, in Cape Town, South Africa. 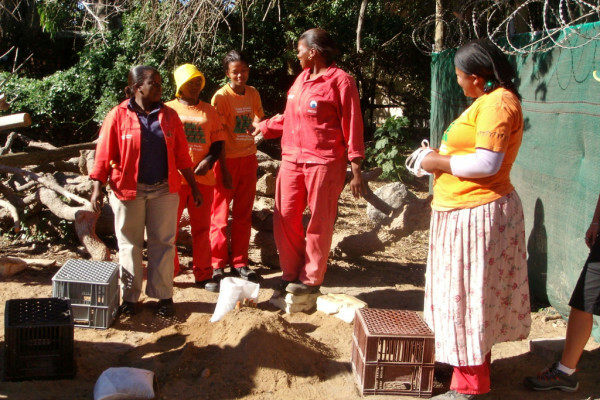 It brought together partners of the park and the surrounding Cape region. Conservation management through social upliftment: caring for the Earth and creating jobs leads towards ecological and human integrity. Reconciliation ecology: looking to the past harms of people and places guides future action in an open, honest, and thoughtful way. The Chicago Wilderness (CW) Relato was held in 2007 at Windblown Hill, just north of Chicago, Illinois, USA. It brought together partners from the CW alliance, which includes over 200 organizations across several states. Together, they seek to expand natural areas and improve the quality of the life of the entire region. As the first formal Relato of the BEI, much of the discussion focused around the structure of this and future Relatos. In other words, what is the best methodology to bring together a sometimes abstract view of ethical principles, to the real work being done on the ground? How to mix theory with practice, or look at ethics in a new, practical way? This was the origins of the Relato Methodology. The CW Relato led to the creation of the BEI's first publication: Keeping Nature Alive: Toward a Code of Ethics for Biodiversity Conservation. 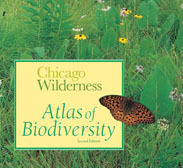 The document includes guidance for moving forward, as well as an insight into many of the programs and principles of Chicago Wilderness. Much of the success of CW has been due to visionary, inspiring leaders; the ability to share complex and thoughtful conservation stories; and a decentralized structure that gives smaller groups just as much voice as larger ones. Unfortunately, in early 2017, after 20 years of service to the local and global community, it was announced that CW's non-profit arm would have to close due to severe cuts in federal funding. The CW alliance continues, and CEEL stands in continued solidarity with CW.